We Hope You Enjoy This Article! Please Feel Free To Ask Questions And Make Comments Below; Don't Forget to Share! Muscle Aches & Pains, Bruises, Cuts, Scrapes, Soreness, Sunburns, Dry Skin/Rashes. -OR- Check Your Local Healthfood Store! Echinacea is commonly known as Coneflower and grows natively in North America. Goldenseal is derived from the root of the Goldenseal plant. For prevention and to maintain optimal health, a combination of Echinacea and Goldenseal may be taken to boost the immune system during change-of-seasons & cold/allergy seasons. I find this combination to be particularly useful to combat chest colds, head colds, fever, & even minor infections when used topically. As a preventative take 30 drops in a glass of water once per day. 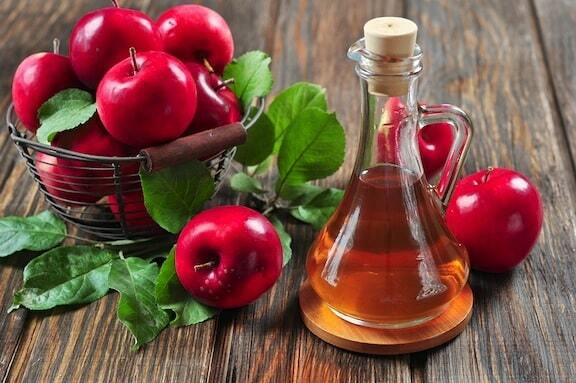 During sickness increase the dose to 40 drops 3 times per day. Arnica Montana is a flower native to most of Northern Europe that also grows in the mountains of the United States and Canada at elevations above 5,000ft. 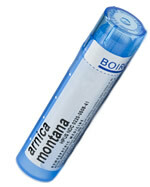 Arnica is typically used to reduce swelling and internal bleeding, aid in relieving sore muscles and to aid in healing after surgeries or major traumas. Adults and children 2 years of age and older: Dissolve 5 pellets under the tongue 3 times a day until relieved, or as directed by a doctor. A cream that relieves scrapes, scratches, minor bruises, & dry skin can be made from the dry herb form of Calendula, Comfrey & Chamomile. Also makes a great homemade massage cream! Instructions: Slow-heat 1/2 Cup each of the Dry Herbs + 2 Cups of Coconut Oil, 1/4 Cup Organic Beeswax & 1/2 Cup of Olive Oil. melt the oils and beeswax and stir thoroughly. Once it’s all melted, add the dry herbs and cook for 30 mins stirring continuously on low flame or lowest setting on an electric stove. Strain immediately and allow to cool for 30 mins on the counter-top, stirring every 5 mins. After 30 mins of counter top cooling, spoon into a jar you intend to use for storage and then place in the fridge overnight. Mixture can then be stored at room temperature indefinitely. Burn ointment, relieves skin irritations, scrapes, scratches & abrasions. Use a massage cream, hand cream or face cream too! Coconut Oil is incredibly versatile in it’s use. From being a sunburn cream & natural SPF, to boost metabolism (1 Tbsp before meals), to a baby-bottom cream. The uses for coconut oil are nearly endless. It also boasts one of the highest smoking temperatures of any naturally derived oil. Having it around is always a great idea; it also is an ingredient in our recipe in the Calendula, Comfrey, Chamomile cream above! Uses are varied, feel free to email us for a more comprehensive list, or follow the recipe above to make an incredible healing/soothing cream. Tea Tree Oil has amazing versatility. It has natural antiseptic, antibacterial and antifungal properties and can be used on skin infections, athletes foot or it can be combined with water and lemon juice to create a powerful all purpose cleaning solution. Use on Acne, Skin Abrasions, Sunburn, Athlete’s Foot, Nail Fungus, or combine with lemon & water to create a powerful home cleaning solution (1 Gallon Water, 2 Tbsp Lemon Juice, 10 Drops of Tea Tree Oil). Tea Tree Oil can be purchased at nearly any drug store, healthfood store or online. Sore Throat Gargle, Lowers Cholesterol, Aids in Weight Loss (1 Tbsp/day), Cures Dandruff (Wash Hair w/a half cup, leave in hair for 10 mins), Acne Treatment (Rub on face and allow to dry for 30 mins, then rinse), Aids in Hydration (great for athletes, take 1 Tbsp before every meal), etc… I couldn’t list every benefit of Apple Cider Vinegar, there are too many! Braggs© makes a great unfiltered organic vinegar. 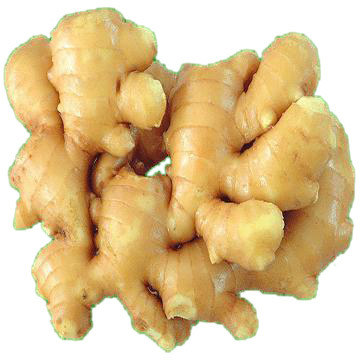 Any grocery store for the most part carries fresh ginger. Organic Ginger may be harder to come by. …this one is a bonus! Aloe Vera is actually a native american remedy that has been used for thousands of years to treat a variety of skin irritations, notably burns! The gel that is produced naturally by the plant can be applied to minor cuts, scrapes, & abrasions to soothe and heal. It is most effective though on all different types of burns, notably sunburns & heat blisters. Every household should have a thriving Aloe Vera plant at hand for burns in the kitchen; great for kids!! Usage tip: cut off one large stalk and put in the fridge for use whenever a burn happens. The only thing better than Aloe Vera on a burn is COLD Aloe Vera. Effectively treats Sunburns & Heat Burns (as in touched a hot tea kettle or pan in the kitchen); Soothes minor skin abrasions, cuts & scrapes. Finding organic aloe vera plants can be tough. Ask at a local nursery or local healthfood store/coop. You can also find them on amazon strangely enough. Thanks for reading, if you’re interested in learning more about Natural Remedies, please browse through the rest of our staff articles and feel free to reach out with more questions on our Contact Page. You can also take our Natural Wellness Assessment for FREE & receive a personal response from Dr. Charles Ventresca. If you found this content interesting or enriching, please share it with your family & friends on your favorite social networks below. Use Hashtag #BHNM so we can follow the threads! next post: Do You Homeopathy? If your child is old enough to know not to swallow the briny stuff—usually at least four years old—this is a great choice for a natural cough suppressant.